RC’s and Caroline’s four children were all born in Napa. According to her grandson Everett, RC’s wife (“Bonmaman”) hated the hot summers so they eventually returned to San Francisco. This photo, taken in 1889 in front of their Napa home, shows William John (“Willy”), Camilla (“Mimi”), RC, Fanny, Caroline and Emma. 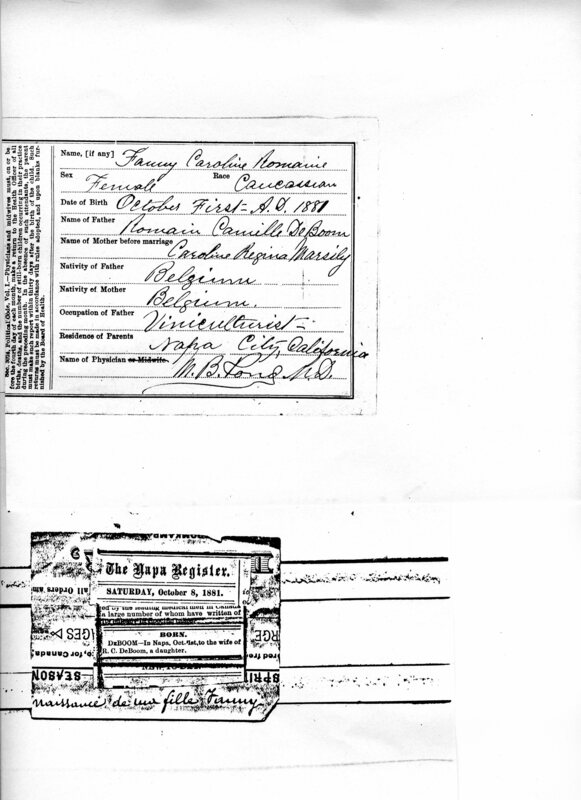 Emma saved copies of the birth certificates for her older siblings Fanny (born October 1,1881) and her brother Willy (born January 20,1883). Emma Marie herself was born on April 16, 1885. 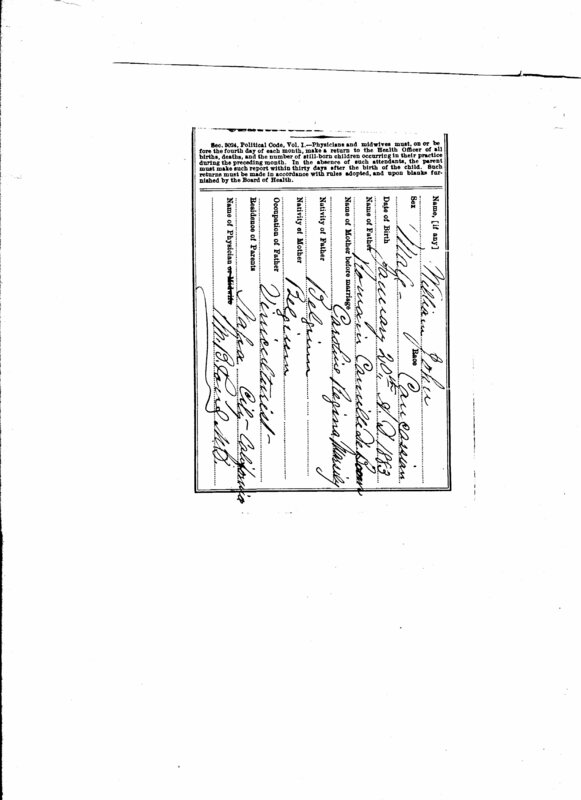 Camilla “Mimi,” the youngest, was born in March 1887 according to census records at FamilySearch.org; I still remember we celebrated her March 16 birthday when I was a child.